Dr. John Corvino is the chairman of the Wayne State University Philosophy Department. He is handsome, gay, funny and in a long term relationship. He is also the author of books and youtube videos. 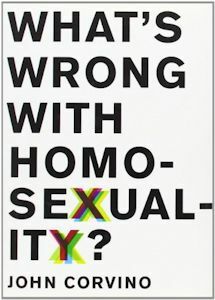 What’s Morally Wrong with Homosexuality? 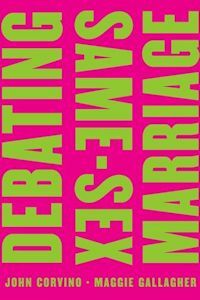 He tackles the various anti-gay arguments head on, with humour and clarity. Measured, reasonable and persuasive. It is a debate between a gay person (Corvino) and a Christian (Gallagher).